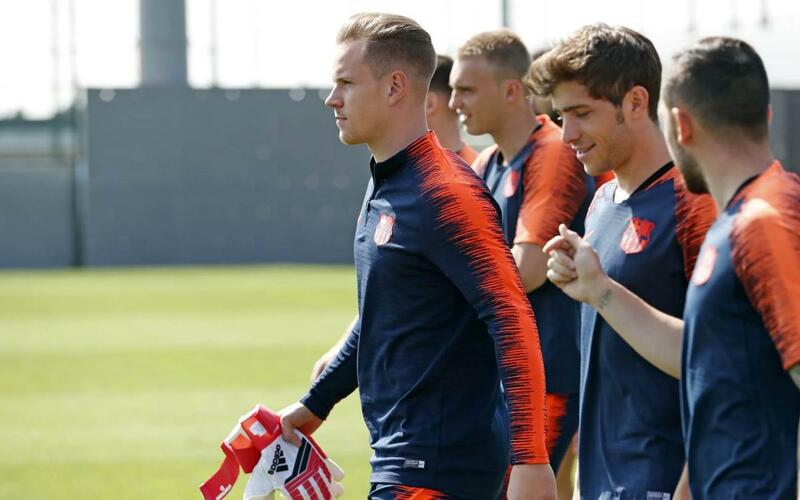 With that, FC Barcelona, having rested for four days and four nights after hoisting the 30th Copa del Rey in team history, went henceforth onto the training pitch at the Ciutat Esportiva Joan Gamper, and took the first steps toward fulfilling their commandment. Amongst those present was Carles Aleñá, the Barça B player, whilst the Brazilian midfielder, Paulinho, was granted leave from Thursday’s session. Barça will travel to Galicia on Sunday for this week’s league match at Deportivo La Coruña, where a win or draw will be good enough to mathematically clinch the La Liga title. Should Atlético and Real Madrid both fail to win their games, which will be played before Barça’s, the Catalans will be automatically anointed the champions before facing Deportivo.